Only 20% of RideLondon entrants in 2014 were female, let’s push that up to 50! We’ve done RideLondon for the past two years and have to say, the 100-mile bike ride through London and Surrey on closed roads is bloody brilliant (despite what my best Cyril Sneer expression above may suggest). 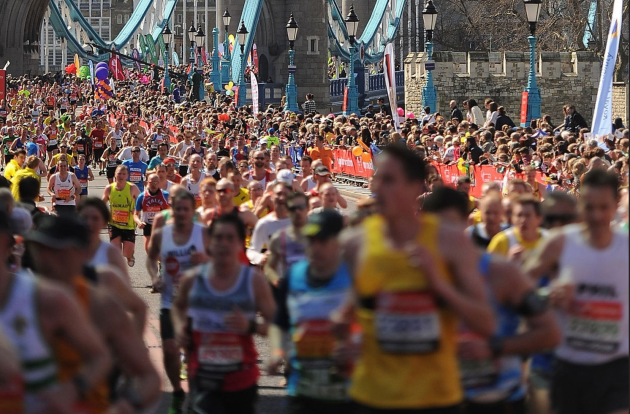 Organised by the team behind London marathon, it’s as perfectly organised as you’d expect and growing in popularity every year. One thing though, there just aren’t enough women! We should probably keep this to ourselves as we so want a ballot place for 2016, but the guys (and we’re not using that term in a gender sense) over at RideLondon are actively encouraging more females to get involved. According to figures in the Guardian, the event had 16,00 starters in 2013, and has grown to more than 25,000 this year. Only 20% of finishers in 2014 were women though, and CEO Nick Brasher says he’s hoping to make that at least 35% by 2019. Eaassssyyyy. Cycling is fun and 100 miles really isn’t that daunting – if we can do it, anyone can. So dust off your wheels, get pedaling, enter the ballot and ride with us next year. “The first London marathon had less than 5% women,” says Nick. “This year it was 42%.” While we’re at it, let’s get that up to 50% too! The RideLondon ballot opened on Monday 10 August and will close on January 18 2016 – or when it reaches 100,000 (86,000 applied for 2015 so get in quick). You can read our 2014 RideLondon review here, this year’s recap coming shortly.